Learning how to use yogurt in your favorite meals is a must-know tip for healthy living. From macaroni and cheese to salad dressings, there are a huge variety of ways to incorporate yogurt into dishes, without sacrificing taste. To help ensure you're enjoying the most nutritious yogurt possible, make your own at home. The Oster® Mykonos™ Greek Yogurt Maker will help you make delicious, high-quality and nutritious Greek yogurt right in your own home with ease. If you typically reach for the colorful, fruity yogurts in the supermarket, you may want to rethink your buying habits. Flavored yogurts typically contain high amounts of sugar as well as artificial colorings, which can make them not-so-healthy choices. Plain Greek yogurt is a great alternative to regular varieties because it contains higher levels of protein as well as good bacteria that help promote a well-functioning digestive system. Greek yogurt isn't as sweet and is tangier than other types of yogurt, making it a versatile ingredient in many recipes. Making Greek yogurt at home is easy. All you have to do is mix milk with starter cultures in the container machine of your Oster® Mykonos™ Greek Yogurt Maker and turn the machine on so that the ingredients are warmed and transformed into yogurt. You can use dairy milk or soy or almond milks in the machine, so those with lactose sensitivities or other dietary constraints can still enjoy delicious Greek yogurt. For a more detailed explanation on making yogurt in your Oster® Mykonos™ Greek Yogurt Maker, click here. Of course, homemade Greek yogurt can be enjoyed on its own or with healthy toppings as a light breakfast or snack. But there are many other ways yogurt made in your Oster® Mykonos™ Greek Yogurt Maker can be used to make your favorite foods even healthier. Here are some easy recipes to try below. Remember that any recipe that calls for milk, mayonnaise or cream can use Greek yogurt instead, so let your imagination run wild! Want to dig into a comforting bowl of macaroni and cheese that has a lighter twist? Just use Greek yogurt instead of regular cream. Cook pasta in a pot on the stovetop according to package directions. Drain pasta, then return to pot. Stir in the Greek yogurt and shredded cheese, mixing constantly to incorporate. Mix in the seasonings and stir until combined and cheese is melted. Spoon into bowls and top with breadcrumbs before enjoying. 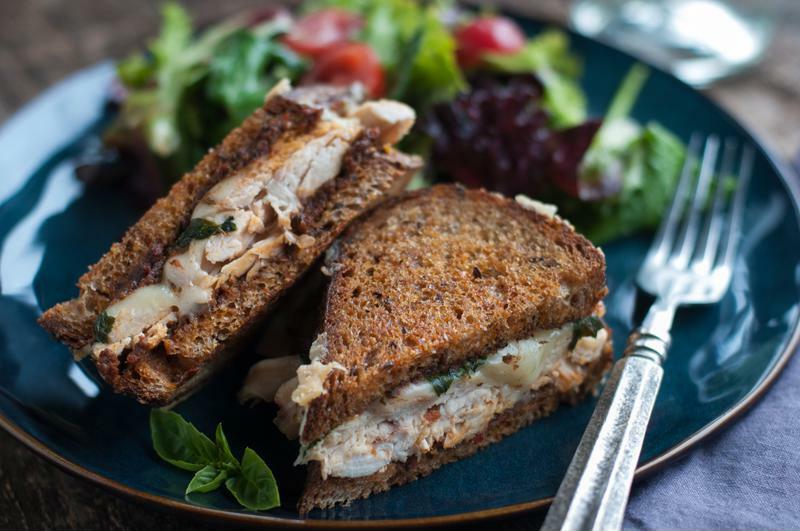 Skip mayonnaise, which is high in saturated fat, and instead use Greek yogurt in your chicken salad. You get the same creamy consistency without the heaviness. Some chopped fruits and veggies add extra nutrients to make this a balanced lunch. In a large bowl, combine all ingredients and mix well. Spoon into the tortilla, and then wrap up and enjoy. Put a lighter twist on chicken salad by using Greek yogurt instead of mayonnaise. It's hard to resist the flavor of ranch dressing - but just one tablespoon of the stuff can pack tons of calories, fat and sugar. Make your own version at home with Greek yogurt to keep things light without skimping on taste. Combine all ingredients in a blender on medium-high speed until smooth. Use immediately or bottle and store in the refrigerator to enjoy later. Greek yogurt helps make muffins that are spongy and moist. Make a batch of these carrot muffins to grab and go on the way out the door in the morning. In a large bowl, mix together the flour, baking powder, baking soda, salt, oats and cinnamon. In a separate bowl, stir together the yogurt, milk, eggs and honey until smooth. Add in the dry ingredients and stir to incorporate, and then fold in the shredded carrots. Pour batter into a greased muffin tin and bake at 350 degrees for 20-25 minutes or until a toothpick stuck into the middle of the muffin comes out clean.